Plus: Paul Whiston joins The Testing Consultancy, Michael Collins moves to Southern District Health Board and Kiwi kids join global coding event. 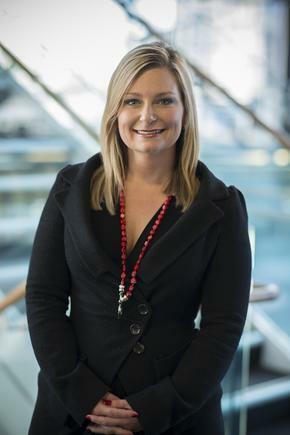 Jenna Woolley is taking on the newly-created role of executive GM technology at Manukau Institute of Technology. 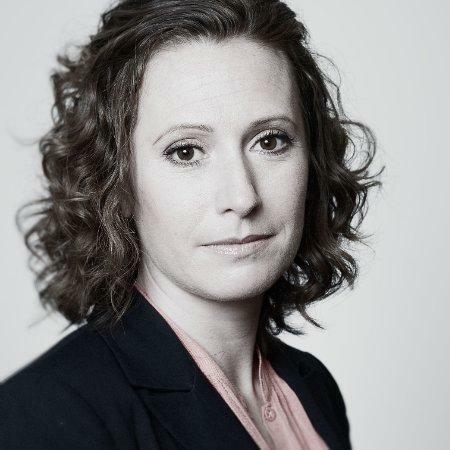 Before this, she was head of strategy and planning at Network for Learning (N4L). 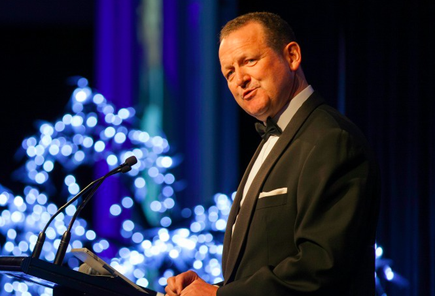 Woolley is also on the board of Telecommunications Users Association of NZ (TUANZ). Her previous roles include strategy analyst at Telecom NZ (now Spark) and Asia Pacific lead for BPO and global delivery at analyst firm IDC. 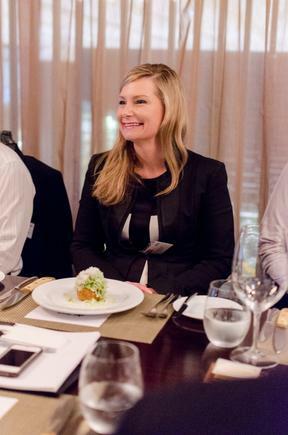 Vanessa Sorenson at a CIO roundtable discussion in Auckland. 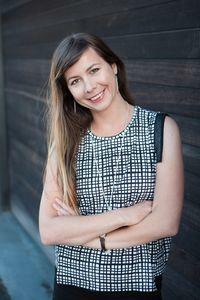 Vanessa Sorenson is back at Microsoft New Zealand as enterprise director. Sorenson began her career selling Microsoft software and is set to return after nearly 20 years with Spark, most recently as general manager, heading up the enterprise sales team, managing more than 60 clients. Vanessa Sorenson back at Microsoft after nearly 20 years. Michael Collins is now executive director people, culture and technology at Southern District Health Board. 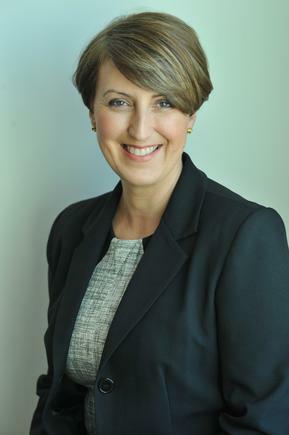 Before joining the health sector, Collins was with Otago Polytechnic as director of the learning environment. 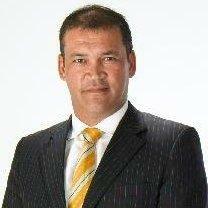 Paul Whiston is the new Group CEO of New Zealand IT consulting firm The Testing Consultancy (TTC). He will work alongside founder Grant Borrie and executive director Mike Ewart to further develop the company’s footprint in New Zealand, Asia and the US. Whiston most recently headed Livestock Improvement’s (LIC) Automation business in Hamilton. 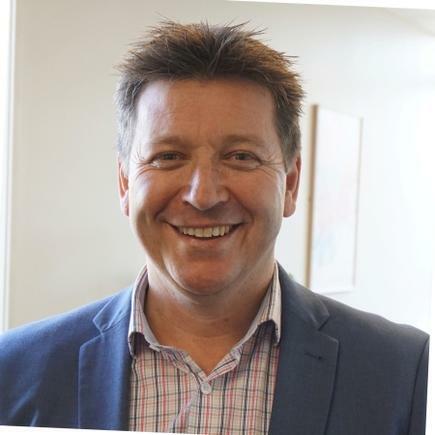 His previous roles include head of sales and marketing and interim CEO of Paymark as well as general manager (International) for NZ technology company, The Simpl Group. Alyona Medelyan, CEO of Thematic, has taken part in the Summer 2017 batch at YCombinator, a startup accelerator which produced unicorns like AirBnB, Dropbox and Stripe. “The experience has been incredible,” Medelyan wrote in the Thematic website. “Every aspect of our business has visibly improved and we’ve learned a huge amount from the best of the best. Thematic grew three times and has now customers such as ManpowerGroup, Stripe, Air New Zealand, Vodafone, and Ableton. And, we are the only company in the batch that signed up YCombinator itself as a customer. “This is special because Thematic is not a classic Silicon Valley start up,” says Medelyan, whose work was cited in the 2017 CIO100. "Our story does not fit the usual pattern of two Stanford grads coming up with an idea, getting angel investment, assembling a team, then racing to product-market-fit before the money runs out. 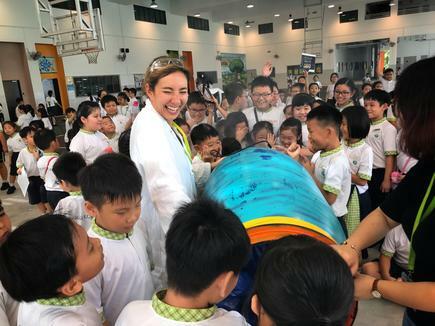 The New Zealand-made ‘Nanogirl Live!’ science show, created by Nanogirl Labs, was staged in Singapore as the flagship event of the Singapore Science Festival 2017. 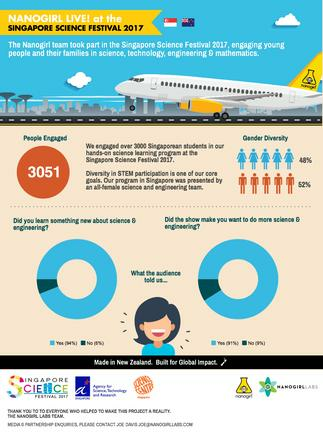 The Nanogirl Labs team engaged more than 3000 students and their families, working both within the Science Centre and in schools across Singapore. School children all over New Zealand will be part of a world record setting event to get the most kids coding in 24 hours. Moonhack is a global event, officiated by Record Setter, to set a world record to get the most kids coding in a 24-hour period. Moonhack was launched by Code Club Australia last year with the world record being set by more than 10,000 students. This year, the event has gone global with students all over the world set to participate in Moonhack. 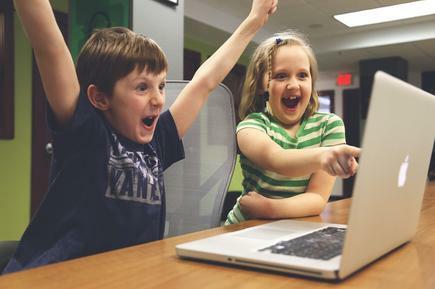 “We have been blown away by the interest from teachers and school leaders in New Zealand to use the event as a step closer to the new normal - digital technologies as part of everyday life in the New Zealand primary schools,” says Code Club Aotearoa general manager Michael Trengrove. Wools of New Zealand chair Mark Shadbolt announces the appointments of three new directors for the group: Auditor Ian Marshall, who will also chair the Audit and Risk Committee; Rebecca Smith (director of the New Zealand Story) and Lucy Griffiths (owner of Innov8 Aotearoa). “They are all well equipped to do the job we need today and importantly, have the ability to look to the future and think globally,” says Shadbolt. He says the appointments “send an important message of confidence in the strategy behind Wools of New Zealand that we have been able to attract directors of this calibre, particularly given we are a young company coupled with the challenges facing the industry as a whole”.